Canada is bringing a spree of changes to its immigration rules and policies. The new visa category to fall under these new reforms is the Parents and Grand Parents visa. 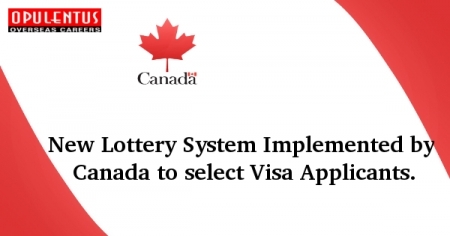 Canada immigration has brought this category under lottery system for selecting candidates, this program is going to reopen with new changes added to it on 2nd January 2018 and lasts until 1st February 2018. From the inception of this lottery program in the year 2016, IRCC (Immigration Refugee and Citizenship Canada) have faced criticism on picking hardly 10% of the candidates among 100,000 applicants who expressed their interest in the program. After facing this issue IRCC has added extra questions to the existing ‘Interest to Sponsor’ form. Be it a PR holder or any Canadian citizen who wants to sponsor his or her parents or grandparents to this visa has to first demonstrate that their income is greater than the annual Minimum Necessary Income published by IRCC, for a period of 3 consecutive years. Sign an undertaking to support their sponsored parents and grandparents financially. Interested sponsors can launch their ‘Interest to Sponsor’ upon which a draw will be held later in the year 2018. Successful applicants will be notified via email and they will be given 90 days of time to submit all the required documents, for IRCC to take a decision on their application. Email us at [email protected] or call us 7207111222. One of our experts will meet your expectations and provide answers to queries.